-Jake Bible, author of Little Dead Man. From the top bunk, I’d tell my younger sister stories at night. As soon as I knew enough letters, I put pencil to paper to write stories. By the time I was in the third grade I knew I wanted to be an author. I just didn’t know how badly it paid. You produced your first book Fractured Horizon as a podcast. Why did you go this route and where can people listen to it? For a lot of years, I didn’t tell people I wrote. Co-workers didn’t know. It was my secret. When I finally decided to take my writing public, I wanted to see whether there was interest. Did people like my stories? Podcasting my novel let me get immediate, week-by-week feedback. I also didn’t have to worry about hiring an editor, I did all the recording myself at night or while my toddler slept. Fractured Horizon was my first big success, even a Parsec Finalist, and it will always be dear to me. The story of Kay Downs traveling through time the hard way, by living through it, until she reached the damaged future and repaired it, started my career. Peoples’ responses to that story encouraged me to continue. I’ve learned a lot since then. I recently rewrote the text of Fractured Horizon to be clearer. I’ve had it edited. I need to release it, it’s just a matter of finding the time. 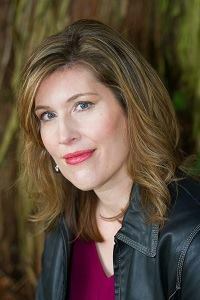 Is writing an audio drama different from writing a novel? I’ve deliberately attempted new things so I would be a better writer. I learned a lot about story, being concise, setting the scene, and pacing, from experimenting. 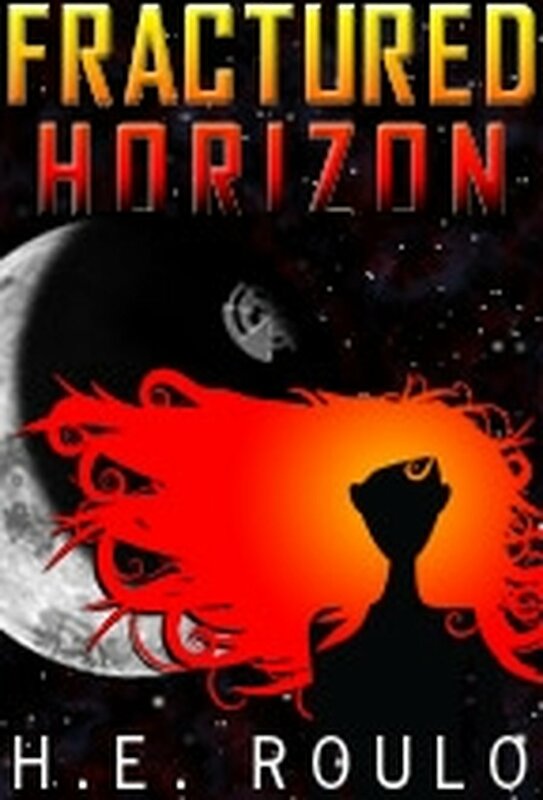 The podcast novel, Fractured Horizon, was an audio book. I simply read the written novel, edited the audio to take out pauses, and added an episode introduction to catch listeners up. It’s a little rough, and moves too fast. I could do better now. Of course, I think that about every project I finish. Once I was done releasing Fractured Horizon, I was looking to do more audio. I released short stories, including three for HorrorAddicts.net. Those stories did a lot for me. I won the first annual Wicked Women Writer’s challenge with “Graveyard Shift”; released “Undergrowth” as my first ebook single; and “Great Asp & Little Death” became one of the stories in the Rich & Roulo series. 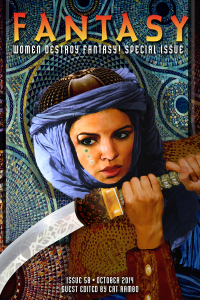 After that, I had several stories traditionally published in markets like Nature and Fantasy’s special Women Destroy Fantasy issue. Finally, I wrote a script for a full-cast audio drama. An audio drama is different from an audio book because the voices of the characters and sound effects tell the story—just like old radio plays. I had to be creative; there’s only sound to tell the story. I couldn’t rely on descriptions or go inside the character’s head. That audio drama, and the world I created, led to much more. 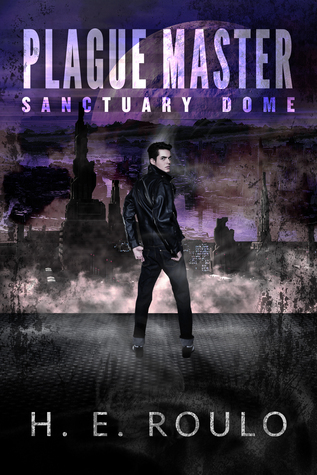 What is the inspiration behind Plague Masters: Sanctuary Dome? The novel took a long path. It started as an audio drama submitted to Necropolis Studio Productions for their Omega Road Chronicles, which is a series of moody unconnected short stories, much like The Twilight Show. My script was for a 40 minute show. They selected it right away. Next, I turned the idea into a short for the Live and Let Undead anthology, which is themed around putting zombies to work. And that sold right away. At that point, it seemed a no-brainer to expand the world I’d come to love. I already had Samantha, who is searching for her brother’s murderer. For the novel, I added the story of Trevor, a teenager from a downtrodden planet. He wants to fight against the zombies swarming his world, but opportunity is scarce. He’s working as zombie-bait for the local militia when the girl he likes becomes infected. They get sent to the Sanctuary Dome, a punishment that’s actually a big improvement, but he’s not infected and is trying to save everyone, even his home world, from this disease. Are the zombies in your story fast-moving or slow-moving? Mythology is so important in a story like this. It drives the tension and action. In my world, a bite means a change to a zombie, but there are also blood infections. Get splashed with zombie blood, and you’ll change but no one knows how soon. It turns people into ticking time bombs. That’s what happened to Samantha, and to the girl Trevor loves. They’re infected, but not changed into zombies, yet. When someone does change, they go through stages of madness and rage. They’re still fast. Eventually, zombies become slow and docile. They will wander with sheep in a field, but they can get aggressive again if provoked. Don’t provoke the zombies, it gets ugly fast. How many books do you have planned in the Plague Masters series? It’s a tidy trilogy with an ending I’m really excited to write. At this point, the first book is available for purchase. I’ve finished writing the second one. Now, I get the dig into the finale of the series. There’s going to be even more action, and more at stake for every character. All the worlds in this system are suffering. The series has to end soon, before there’s no one left for me to torture. Why do you think people are so fascinated with the zombie apocalypse? I think there are lots of different reasons. A zombie apocalypse lets us imagine a world starting over. Old, boring problems are gone. No one worries about grades or taxes in a zombie apocalypse. Life becomes purer, it’s about survival, testing ourselves, and hopefully rising to the occasion. With zombies, there’s no guilt in killing them, no gray area, no reason to understand their point of view. There’s fairness in knowing that they’ll kill you if they can, and you can respond on that level. If you’re smart and careful, you’ll survive. Our world is a complicated place. The zombie apocalypse simplifies it. Until the Plague Masters rise, of course. I’ve deliberately attempted new things so I would be a better writer. I learned a lot about story, being concise, setting the scene, and pacing, from experimenting. The podcast novel, Fractured Horizon, was an audio book. I simply read the written novel, edited the audio to take out pauses, and added an episode introduction to catch listeners up. It’s a little rough, and moves too fast. I could do better now. Of course, I think that about every project I finish. The novel took a long path. It started as an audio drama submitted to Necropolis Studio Productions for their Omega Road Chronicles, which is a series of moody unconnected short stories, much like The Twilight Show. My script was for a 40 minute show. They selected it right away. Next, I turned the idea into a short for the Live and Let Undead anthology, which is themed around putting zombies to work. And that sold right away. I’m contracted for three books. It’s a tidy trilogy with an ending I’m really excited to write. At this point, the first book is available for purchase. I’ve finished writing the second one. Now, I get the dig into the finale of the series. There’s going to be even more action, and more at stake for every character.